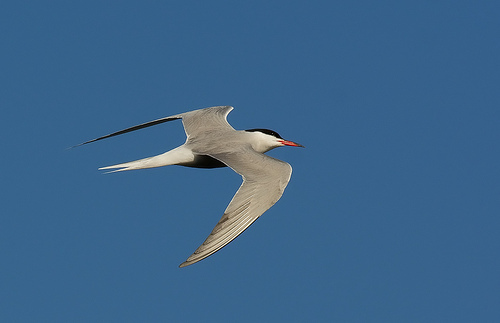 The Common Tern is a small elegant tern. It prefers to breed in colonies and the nests are fiercely defended. If you come too close, you have to run. Otherwise there is the risk of getting wounded by the sharp beak. 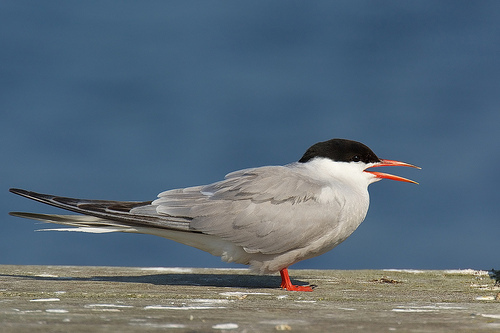 The Common Tern has a light-red beak, often with a black tip at the end.